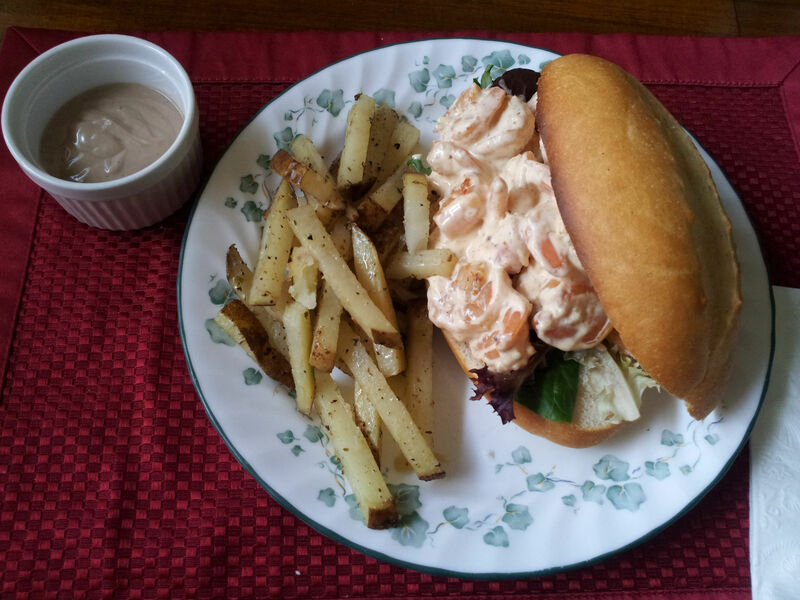 Yesterday I decided to surprise Robert with a nice lunch, so I made us some shrimp rolls with oven-baked herb fries and a creamy balsamic dipping sauce. Needless to say it was devoured in seconds! 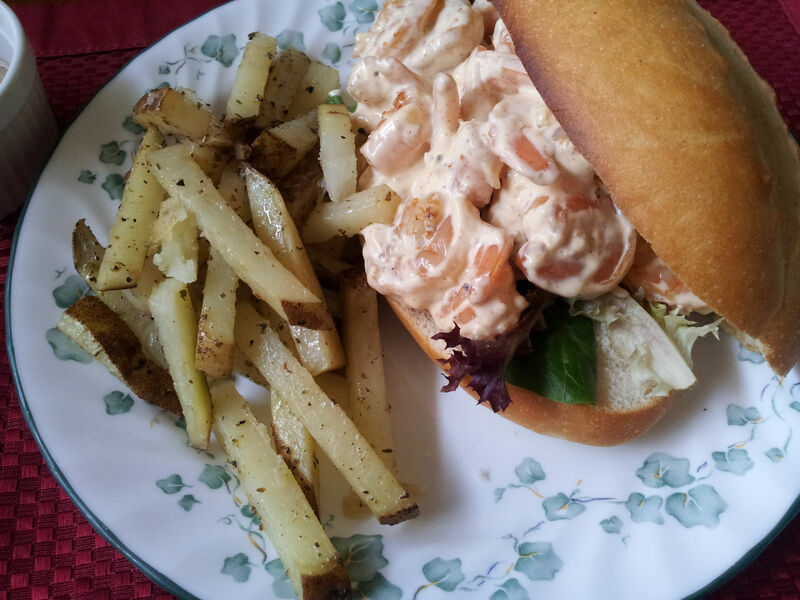 This was my take on the southern lobster roll, and just happened to be a lot more wallet-friendly! The shrimp were tender and sweet, and the paprika gave it a nice smokey flavor and some heat. In a large bowl, whisk together garlic, lemon juice, salt, pepper, and mayonnaise. Set aside. Heat a large skillet over medium heat, and toss together raw shrimp, smoked paprika, cayenne pepper, salt, pepper, and vegetable oil. Saute shrimp until fully cooked, then toss in mayonnaise mixture. Slice open your buns and lightly toast. Line one side of buns with lettuce, then fill with your shrimp. Serve while shrimp is still warm, and enjoy!